← The West Texas Sun Powers This Stone Sculpture. The Full Moon Brings It To Life. Congressional District 23 is one of the longest in the country — it takes eight hours to drive across, from San Antonio almost to El Paso. In our first report at the sprawling district, we looked at the size and demographics from each end of the district — a district where Democrat Gina Ortiz Jones is challenging Republican incumbent Will Hurd. But now a look at the issues that energize this swing district. One topic that everybody seems concerned about: healthcare. At a coffee shop in the northern part of Bexar County, Janet Olgethrope sipping an artisan brew. This corner of CD23 is one of the most affluent stretches of the district. Oglethrope’s main worry: that the Affordable Care Act will be dismantled or replaced with a plan that brings the country back to the days before the ACA. On the other side of the district, down in Presidio, west of Big Bend National Park, the issue’s the same. But the concerns are simpler. Reynalda Carrasco Garcia just wants better medical services. “I wish there were doctors, big hospitals,” said Carrasco Garia in Spanish. She’s huddled up in the corner of the Presidio Library, where she’s trying to learn English. 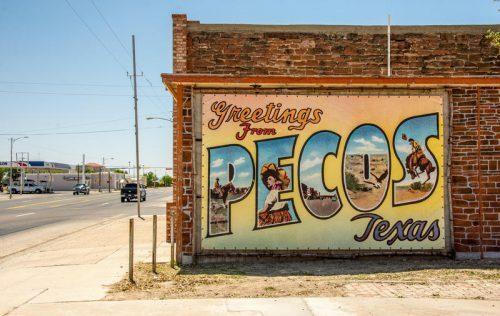 The 82-year-old says when it comes to healthcare, a lot of people in this part of Texas have to travel to cities hours away to get to a hospital. Outside of healthcare, veterans issues have become a talking point for both Hurd and Ortiz Jones. That’s because, CD23 is home to a little more than 39,000 veterans, people like Jose Arzola. As he eats his breakfast, Arzola says access to veterans health care benefits is good, but getting the Department of Veterans Affairs to declare a service-related medical condition as a disability is tough. “For example, I’ve been going back and forth with the VA since, well, I retired from the Navy in 1999, so would say since 2000 or 2001 I’ve been trying to get my disability services connected,” Arzola said. He’s worried about his own care, of course, but what also concerns him the most is whether his family will get the benefits if he dies from one those conditions. Dennis Yancy is also a veteran, but what concerns him most: immigration and border security. “I’ve lived in countries where I understand where they want to come here but financially we can’t afford it anymore and I hate to say that, but that’s just the bottom line,” said Yancy at a rally for Will Hurd. For the Alpine resident, his views about the border were shaped by his years in the Army. In Helotes, a suburb west of San Antonio, Lani Pope’s on the same page. She teaches special education and is a staunch supporter of President Trump’s border wall. Pope also favors streamlining and reforming the country’s current immigration system so that migrants have more legal options to come here. 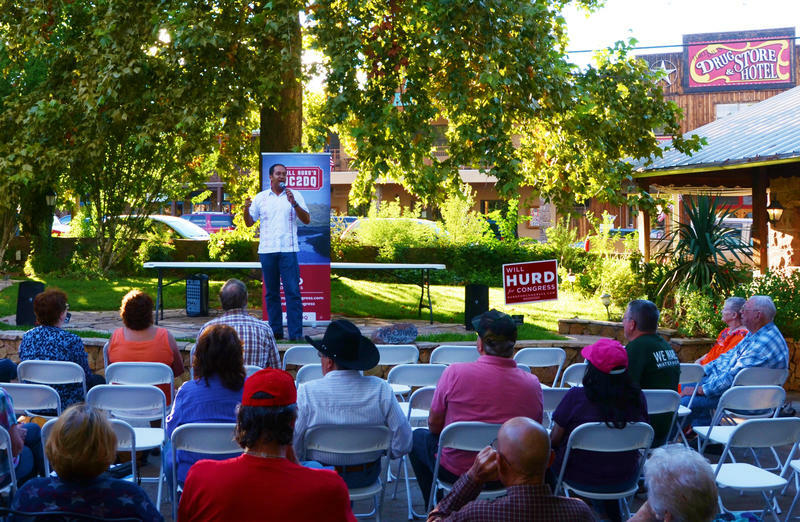 Healthcare and border security are a few of the issues that resonate with voters in CD23. Others talk about environmental concerns, the economy and agricultural protections. They’re issues voters will keep in mind as they head to cast their ballot. Early voting ends next Friday and Election Day is Nov. 6th. This entry was posted in KRTS News and tagged CD23, Gina Ortiz Jones, Will Hurd. Bookmark the permalink.